Canada-born Philip Norman has always been fascinated by simplicity. As an architect, he preferred a minimalist style, and as a painter, he reduced forms to their essence. One day as he was watching his children play, he began to ponder the question why toys couldn’t be made simpler – using modular parts. Fascinated by the idea, he got hold of a CAD drawing program and sat down in front of his computer. “I was really enthusiastic and forgot everything around me,” he recollects. Finally, one year later, Philip Norman concluded the development of a modular component and applied for a patent. At the patent office it became apparent that nothing comparable existed, no one had yet thought in this particular way. Now all that was left to do, was to find a suitable area of application. “I thought of the toy industry at first, but that didn’t work out. A friend then pointed me in the direction of robots. I knew very little about robotics and had to teach myself a lot of things. But it quickly became apparent that this area offered great potential.” Because today’s robots are almost always developed and built for one particular purpose, their sensors and tools are permanently installed, with changes requiring a substantial cost and time investment. If anything breaks, the robot needs to be examined by an expert, which costs more time and money. Philip Norman’s fledgling company Ross Robotics follows a different philosophy. The robots have a modular design, with each element featuring a brushless flat motor from maxon and the EPOS4 positioning controller. “I needed a motor that is very compact and at the same time delivers high amounts of torque,” says Philip Norman. 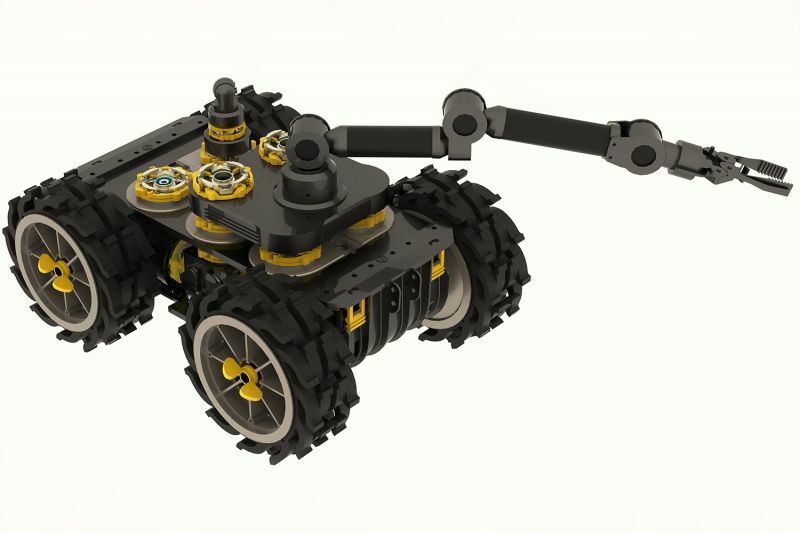 His modular components can be assembled into robots of various sizes. Sensors and gripper arms can simply be attached and removed as needed. You don’t even have to be a specialist to quickly and easily replace a defective part, which makes the robots extremely flexible and economical to operate. If the application changes, the device’s modular design can be adapted to the new situation. 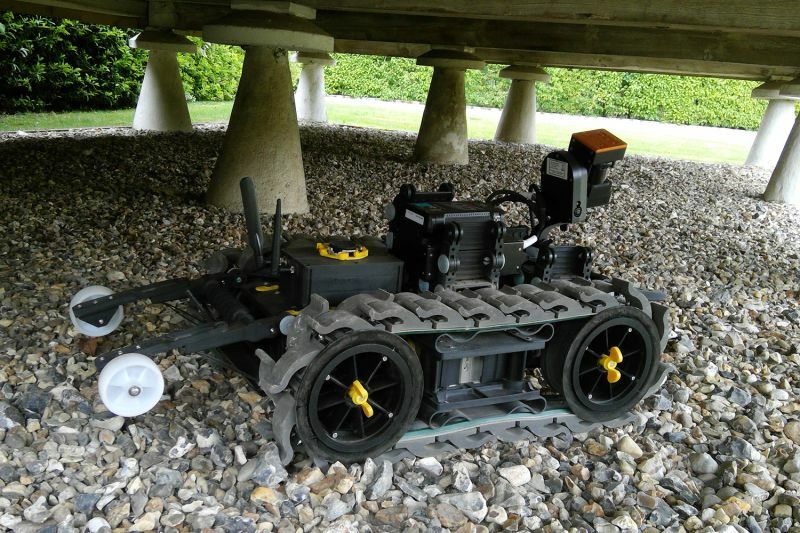 The startup sees great potential in the field of inspection robots. Several Ross Robotics models are already operating in this sector, including at the European Organization for Nuclear Research (CERN) in Meyrin, Switzerland, where one such robot is used in the particle accelerator. The models will soon be commercially available and are currently undergoing certification. Philip Norman is firmly convinced that his invention will change our understanding of robots. However, he wants his company to remain small enough to be able to continue focusing on research and development – there is much left that he would like to simplify.